Nintendo Switch games, Apple Watches and GoPro cameras are on sale at The Source. It’s important to note that some deals have different expiry dates, and others may need a promotion code. The Nintendo Switch game promo is expiring at the end of today (February 8th), the Apple watches deal expires on February 14th and the GoPro deal ends February 21st. The Legend of Zelda: Breath of the Wild for $64.99 (previously $79.99). Promo code is feb15. Super Mario Party for $64.99 (previously $79.99). Promo code is feb15. New Super Mario Bros. U Deluxe for $64.99 (previously $79.99). Promo code is feb15. Super Mario Odyssey: Starter pack for $64.99 (previously $79.99). Promo code is feb15. Super Smash Bros. Ultimate for $64.99 (previously $79.99). Promo code is feb15. Pokémon Let’s Go: Eevee! for $64.99 (previously $79.99). Promo code is feb15. Pokémon Let’s Go: Pikachu! for $64.99 (previously $79.99). Promo code is feb15. Apple Watch Series 1 38mm Silver Aluminum Case with White Sport Band for $179.99 (previously $329.99). Apple Watch Series 1 42mm Space Grey Aluminum Case with Black Sport Band for $179.99 (previously $329.99). 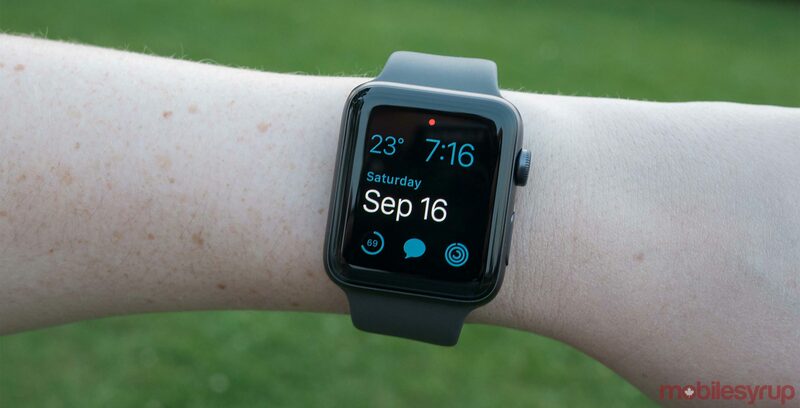 Apple Watch Series 3 42mm Space Grey Aluminum Case with Black Sport Band, Silver Aluminum Case with White Sport Band and Silver Aluminum Case with Fog Sport Band (GPS) for $339.99 (previously $409.99). Apple Watch Series Nike+ Series 3 42mm Space Grey Aluminum Case with Anthracite Black Nike Sports Band (GPS) for $339.99 (previously $409.99). GoPro HERO7 Black Action Camera for $429.99 (previously $529.99). Promo code is feb30.